For more than twenty years, the One Teacher in Ten series has served as an invaluable source of strength and inspiration for lesbian, gay, bisexual, and transgender educators. This all-new edition brings together stories from across America—and around the world—resulting in a rich tapestry of varied experiences. 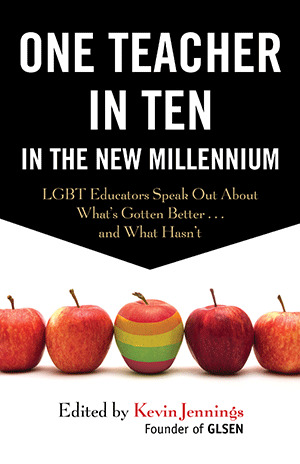 From a teacher who feels he must remain closeted in the comparative safety of New York City public schools to teachers who are out in places as far afield as South Africa and China, the teachers and school administrators in One Teacher in Ten in the New Millennium prove that LGBT educators are as diverse and complex as humanity itself. Voices largely absent from the first two editions—including transgender people, people of color, teachers working in rural districts, and educators from outside the United States—feature prominently in this new collection, providing a fuller and deeper understanding of the triumphs and challenges of being an LGBT teacher today. 16. How Far “Out” Do You Have to Be?